If used as directed with other sun protection measures (see directions) decreases the risk of skin cancer and early skin aging caused by the sun. 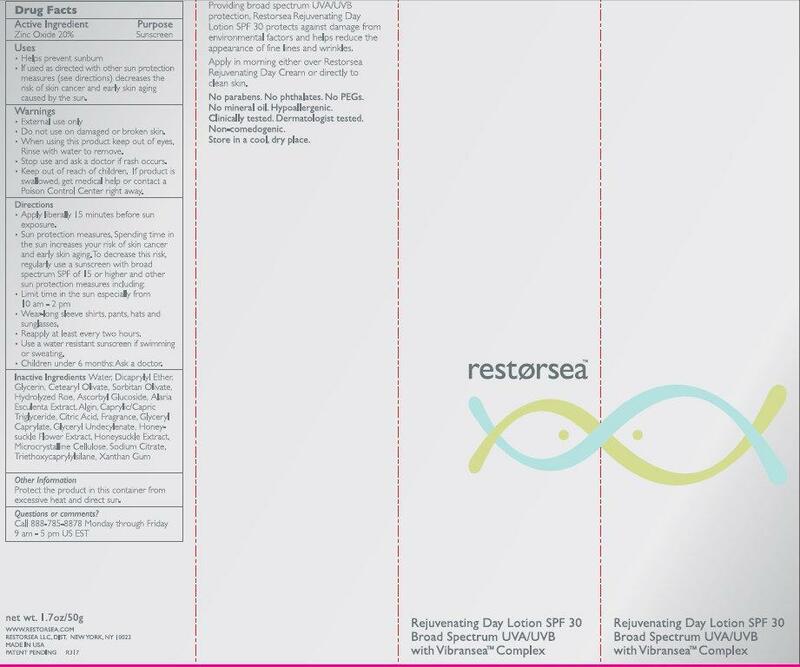 Providing broad spectrum UVA/UVB protection, Restorsea Rejuvenating Day Lotion SPF 30 protects against damage from environmental factors and helps reduce the appearance of fine lines and wrinkles. Apply in morning either over Restorsea Rejuvenating Day Cream or directly to clean skin. No Parabens. No phthalates. No PEGs. No mineral oil. Hypoallergenic. Clinically tested. Dermatologist tested. Non-comedogenic. Store in a cool, dry place.